how to get out of your own way in intimate relationships (dailyhotquote) – AmyJalapeño! While I have always believed that a intimate relation should be open and honest. This is a refreshing look from a different perspective. 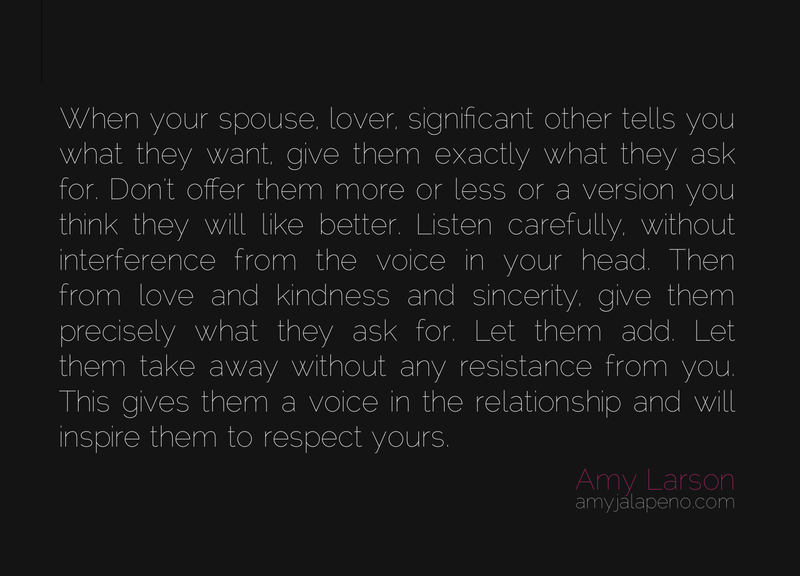 A great starting point for any relationship ! Thanks again Amy! Dan, thanks for your thoughts. :) I meant it as not just a starting point, but a practice as the relationship and each individual evolves. Well now, this old cowboy didn’t convey his thoughts very well then. Building a relationship is much like building a home. You start by laying bricks for the foundation. This thought is one of those bricks. If you want a strong home you use the best bricks. Since you also want that home to last, you check them often to make sure the home stays strong.